This is the total number of profanity incidents in this 327 page book. 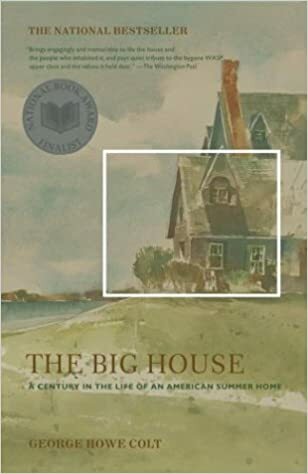 Faced with the sale of the century-old family summer house on Cape Cod where he had spent forty-two summers, George Howe Colt returned for one last stay with his wife and children. This poignant tribute to the eleven-bedroom jumble of gables, bays, and dormers that watched over weddings, divorces, deaths, anniversaries, birthdays, breakdowns, and love affairs for five generations interweaves Colt's final visit with memories of a lifetime of summers. Run-down yet romantic, The Big House stands not only as a cherished reminder of summer's ephemeral pleasures but also as a powerful symbol of a vanishing way of life.